They’re the year’s unsung heroes, the people that day in, day out, put the welfare of others before their own. It’s time to give carers and teachers a little something to show them how much you appreciate what they do. Picking jewellery for someone else can be tricky, but a brooch can be worn by anyone of any age. This swallow bird brooch is made of wood by Australia’s Elk Accessories, $22. Really escaping the rigours of daily life might take a couple of hours at the local cinema. 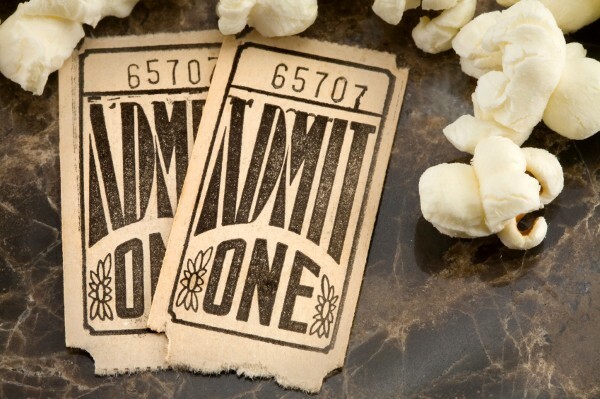 Movie gift cards are available from a variety of cinemas across Australia, and can be loaded with any value from $20. Try Hoyts, Village or Reading cinemas. A 2016 weekly diary is a stylish gift for someone who likes to be organised. 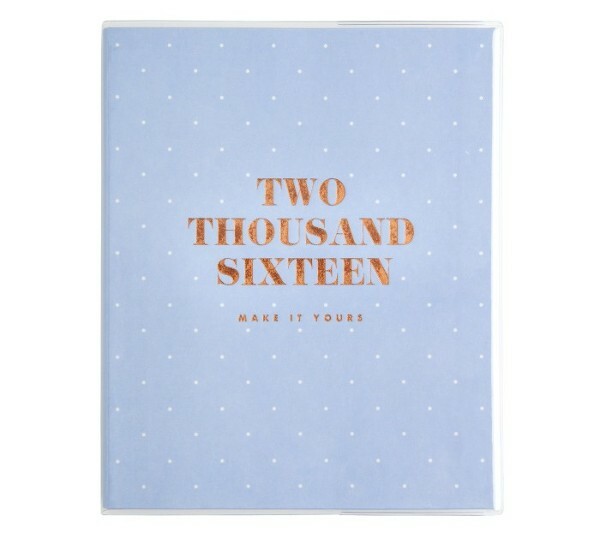 This one is $27 from Kikki.K and has both monthly and weekly views as well as inspirational quotes throughout. Just not sure? Give chocolate. Everyone likes chocolate. But the Pana Chocolate thank you gift packs are a bit fancy, because Pana is raw, organic, handmade and vegan. The pack is $30 or single bars are available from $7. This is a goodie – give a teacher or carer their own distinctive coffee cup for their morning brew and at the same time encourage the use of reusable cups. Prices start at $11 from KeepCup. We hope you’ve done nothing to add to their stress, but a relaxing Dermalogica stress relief treatment oil, $40, would always be welcome and can be used for massage, in the bath and for deluxe skin conditioning. The perfect gift for the perfect teacher, this ‘bento box’ of wood and rubber stamps includes four hand-lettered and hand-drawn mini stamps and a mini stamp pad. $28 from Paper Sushi. Now this would be a great talking point on a desk and he’s something a bit more masculine for all those male teachers and carers. 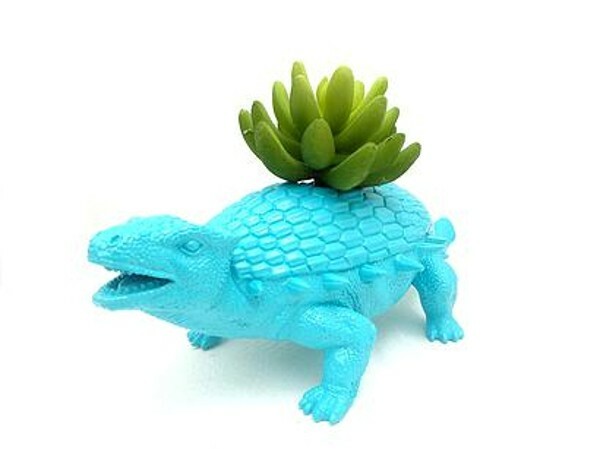 Brutus is a dinosaur planter, $25, and comes empty and ready for a plant (air plants can be added from $8). From Dino Planters. 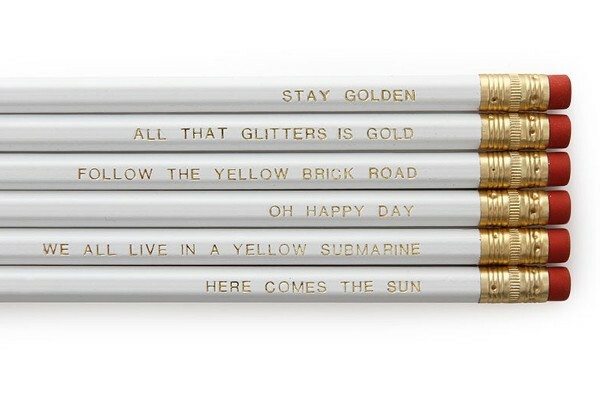 How about a sweet selection of pretty pencils with embossed messages to cheer up someone’s day? This set of six HB lead pencils is $10 from Brown Button Trading. 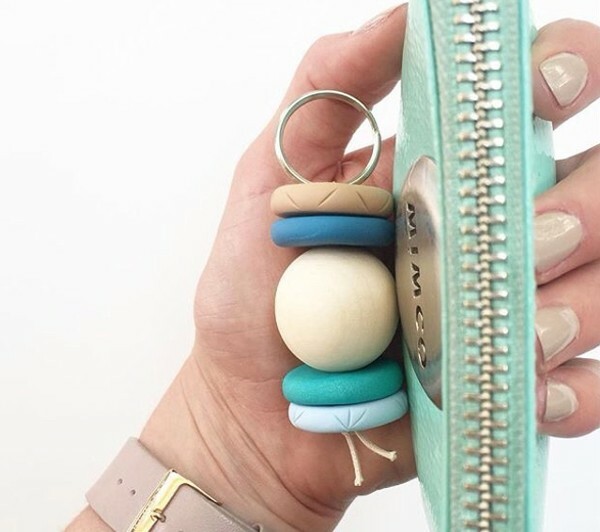 It’s summery and very practical – the Oceanic keyring from Projekt Frankie is handmade by a mum-of-two from clay discs and timber balls. There’s lots of different colours available and they are only $20. 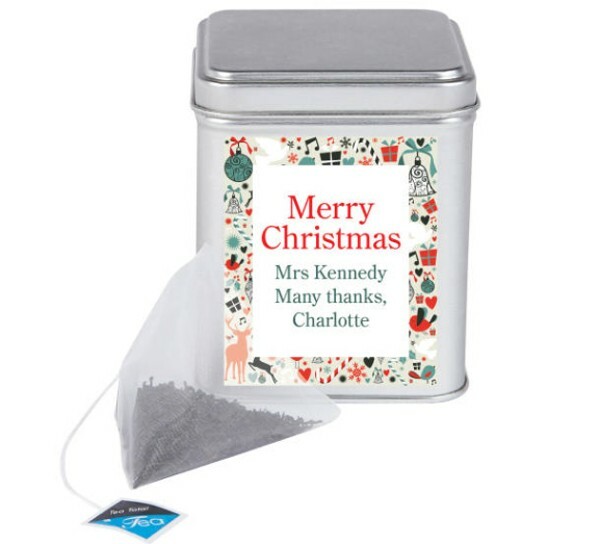 A personalised festive tea tin has a little message from you on the front and is chock-full of little bags of goodness to help unwind after a busy day. $25 from Hard to Find. The Nourish Me Christmas gift pack from Billie Goat Soap is $20 and is perfect for some home pampering. It contains the brand’s signature natural beauty products including a soap, intensive hand cream and a lip balm. And for the person with a sense of humour, how about a tea towel, $22, from the clever illustrators at Able and Game. We think it perfectly sums up your appreciation for a teacher/carer with its quirky, but heartfelt, message. Now, you know how your kids can drive you mad. Imagine being stuck in a room with 22 others like them, five days a week, for an entire year. Yep, teachers are pretty amazing. If we were teachers, this is the gift we’d like. A bottle of very nice wine. For medicinal purposes, of course. 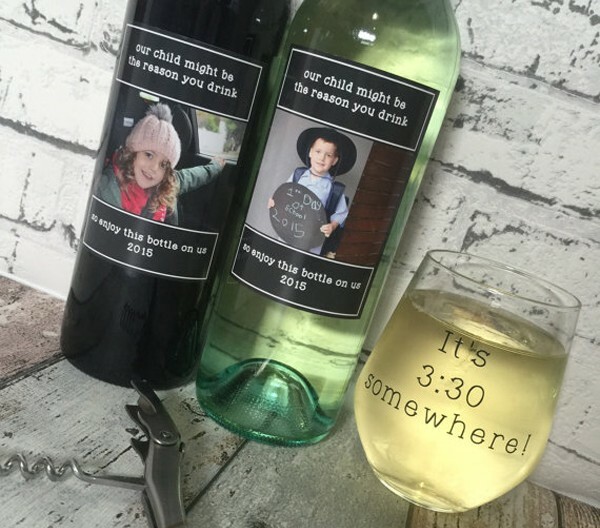 Pair your wine – our editor recommends Cat Amongst the Pigeons for a good value, easy-to-drink cab sav or Penfolds Bin 389 Cabernet Shiraz if you really, really like the teacher – with a fun personalised label and wine glass from Melbourne Etsy store Made Pryor. Make sure to check our other Babyology Christmas Gift Guides – there’s something for everyone on your list, from babies to bigger kids and mums and dads too.